With deep gratitude to Fionnbharr MacMhaolain for this prayer. With deep honoring of the heritage of sacred intention that still lives. May we radiate peace. In this season and in all seasons. 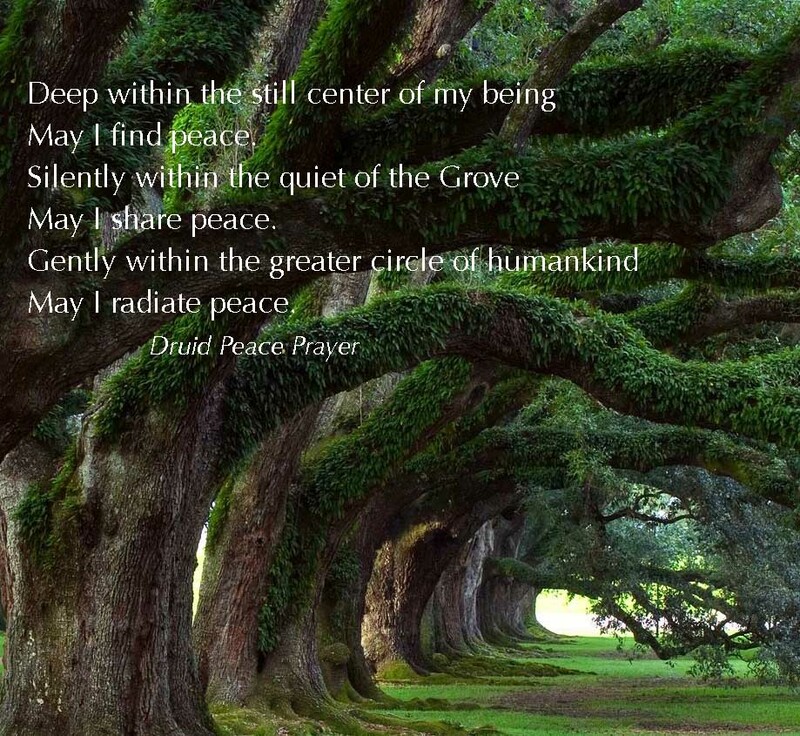 It is a beautiful prayer – not one of my own, but as used by the Order of Bards, Ovates and Druids. It is wonderful at the conclusion of a meditation session.